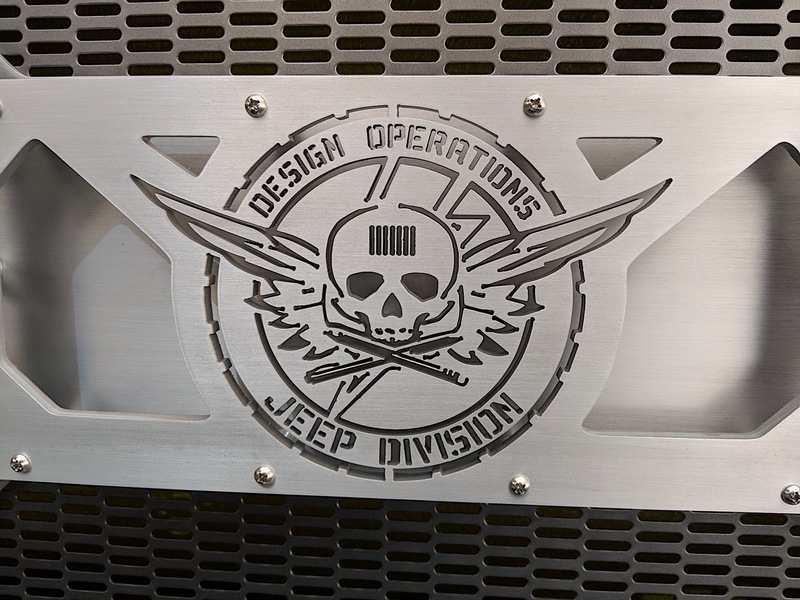 Every year for Easter Jeep Safari, the folks at Jeep build some custom rigs to take to Moab and show off their creativity and provide inspiration for the aftermarket. 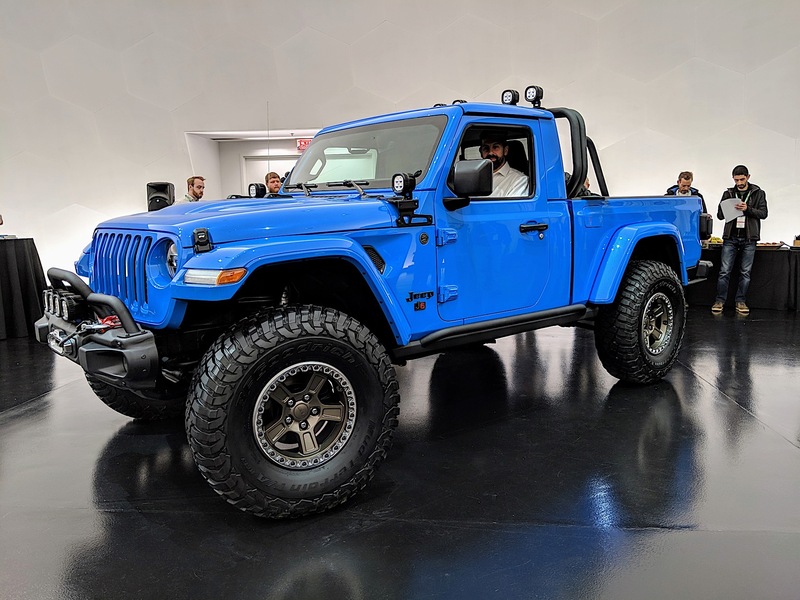 It should come as no surprise to anyone that this year's lot of rigs are all based on the Jeep Gladiator pickup truck. Ranging from mild to wild, there's a build for everyone in this year's allotment. 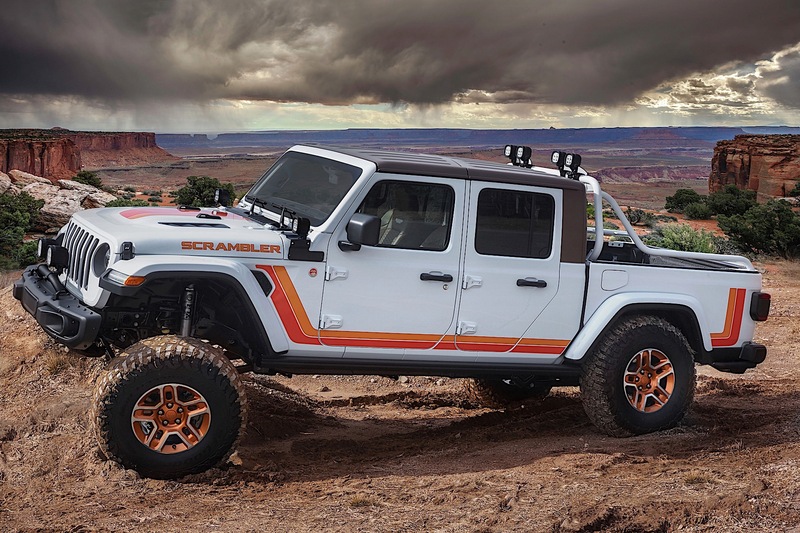 The most insane of the builds is the Jeep Five-Quarter. 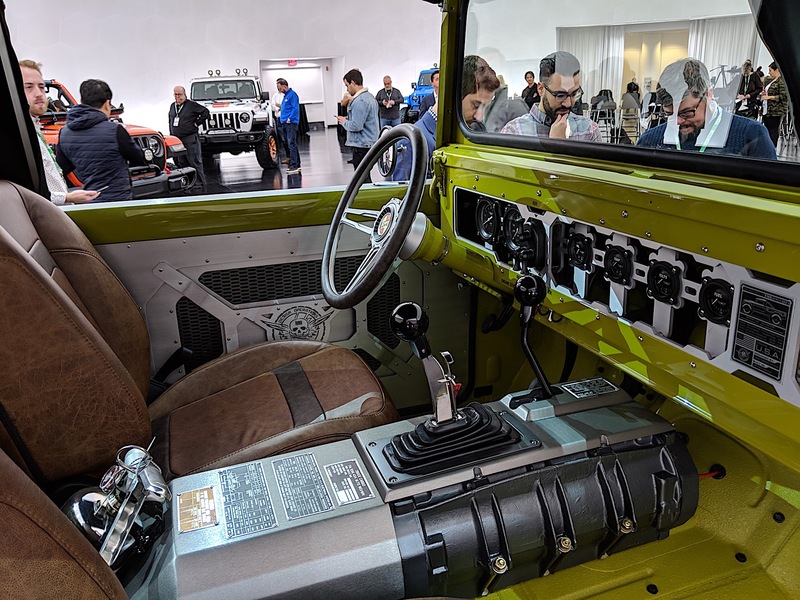 It's a restomodded 1968 Jeep M-715 Gladiator-based military truck with modern performance components that will surely be the talk of the week. 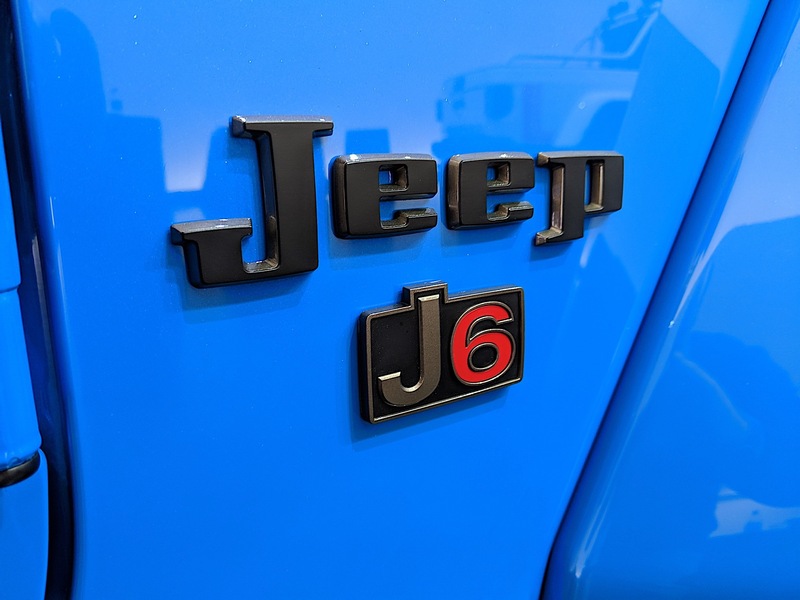 It's called the Five-Quarter because Jeep trucks of the past were one-and-one-quarter-ton trucks which you could also call "five-quarters." The front metal was replaced by a full carbon fiber front end. 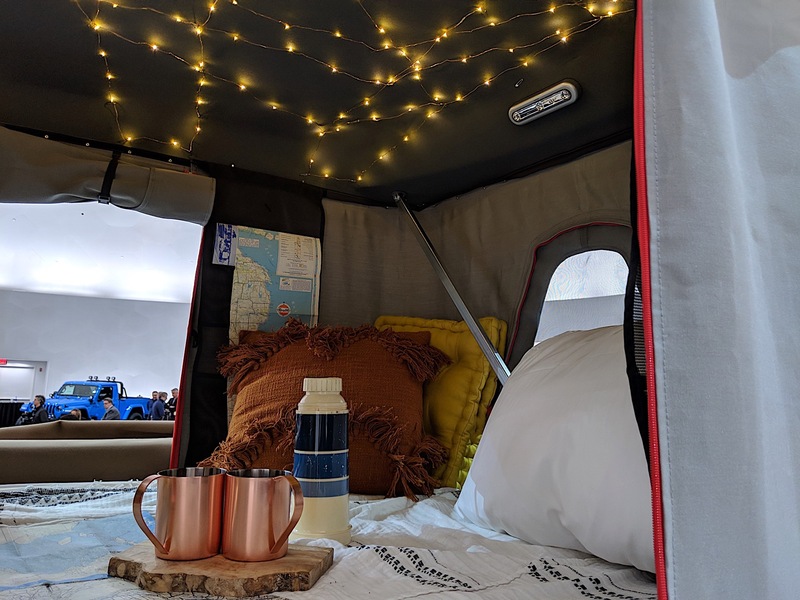 A bobbed 6-foot custom aluminum bed was installed and uses both water-jet-cut panels and wood slats. 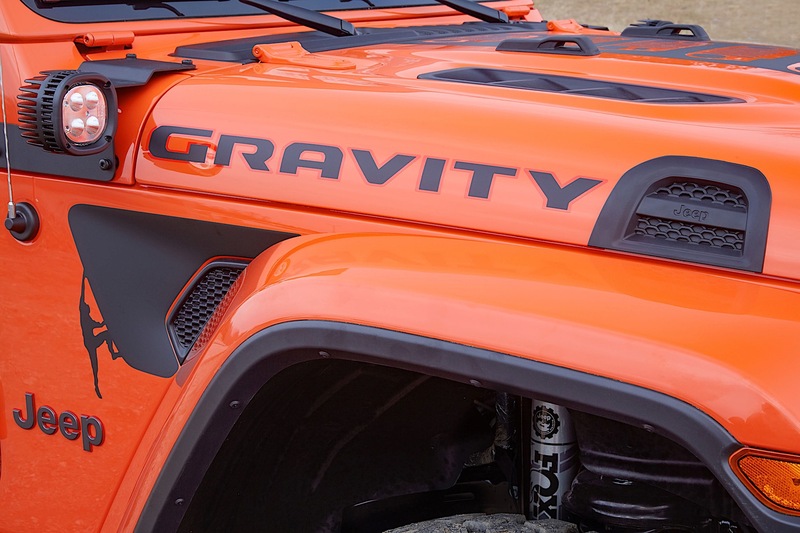 The convertible top was lowered 3.5-inches to streamline the look and help with a monster truck image. 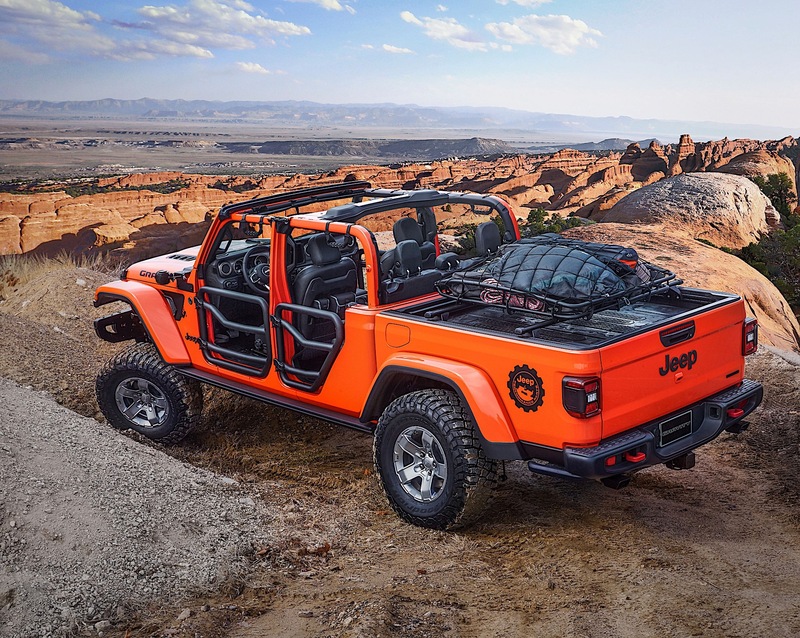 It rides on a link coil suspension system and has rock rails and bumpers modified and brought over from the Gladiator Rubicon to help protect the Five-Quarter off-road. 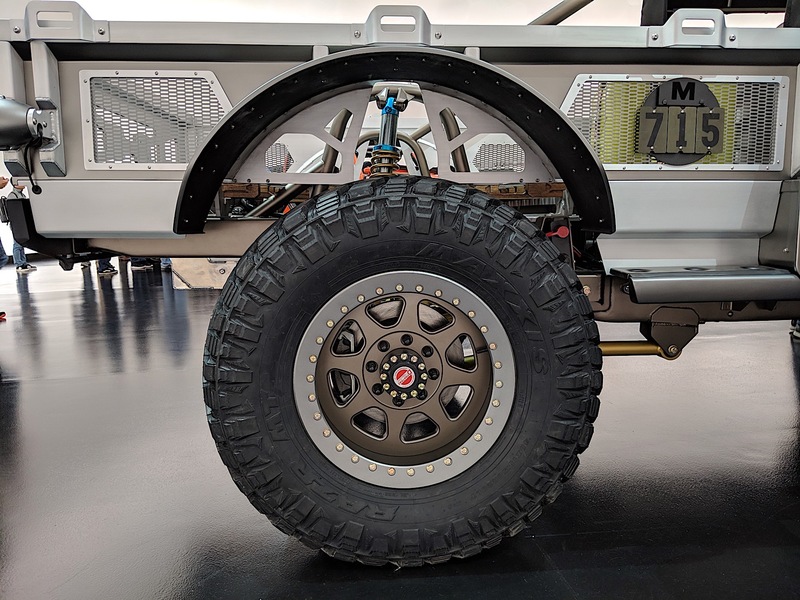 For axles, the Five-Quarter uses a Dana 60 up front and a Dana 80 in the rear. 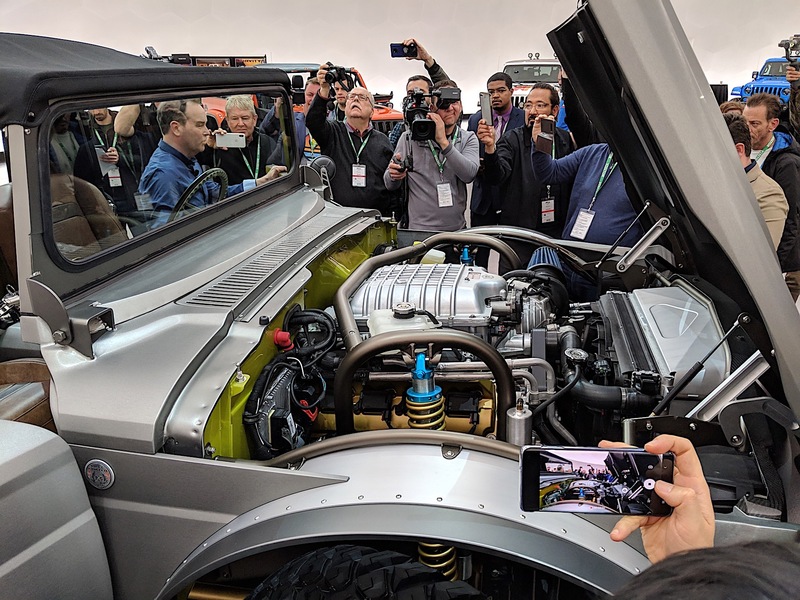 That heavy-duty hardware is present to handle the power, which is a Hellcrate supercharged 6.2-liter V-8 making more than 700 horsepower. 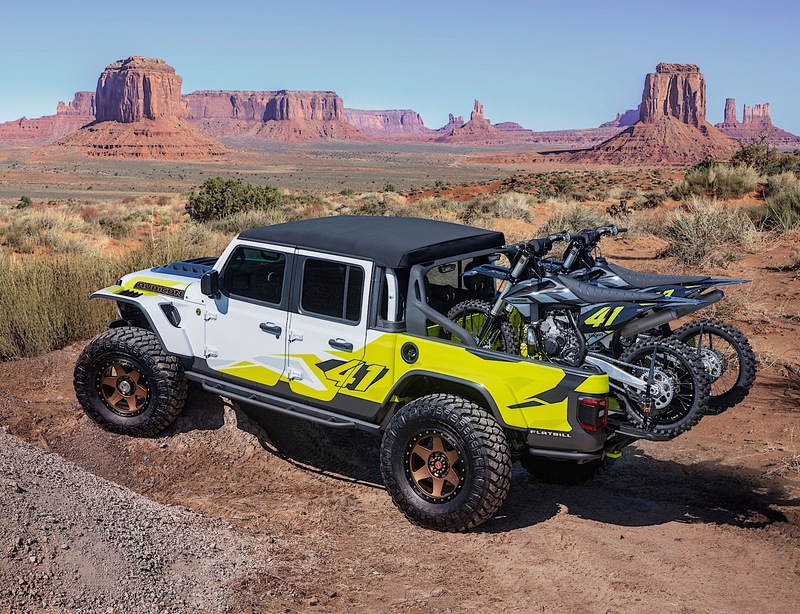 The Jeep Flatbill is inspired by the desert lifestyle and is custom-designed to look like, and haul, motocross bikes out to the dunes. 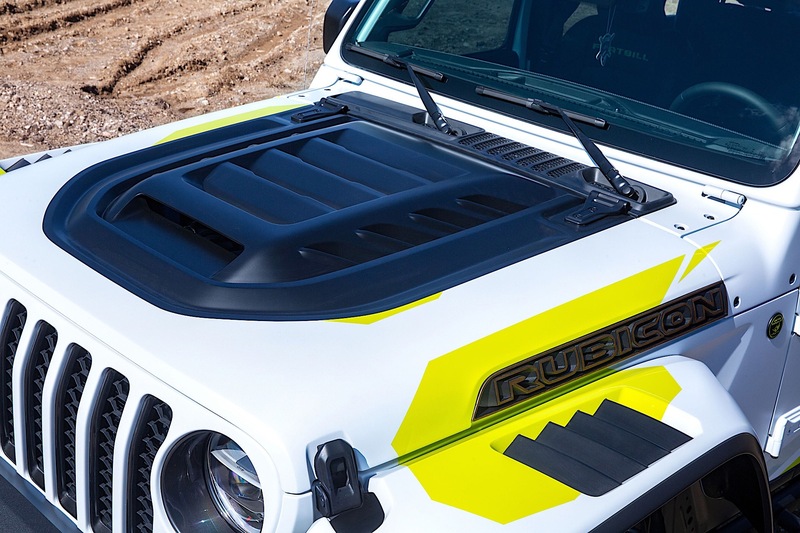 The Flatbill is the first Gladiator to have 40-inch tires which help even more out in the sand. 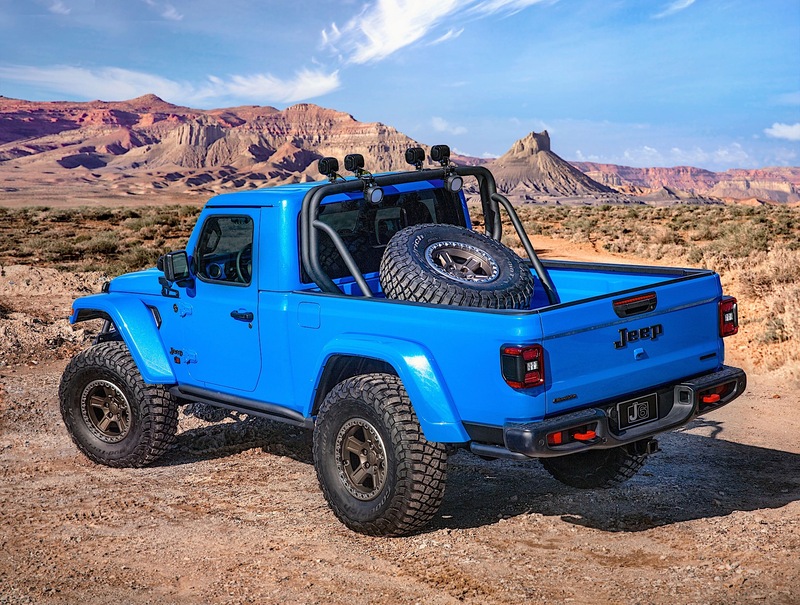 The Gravity is a completely off-the-shelf Mopar accessorized Gladiator. 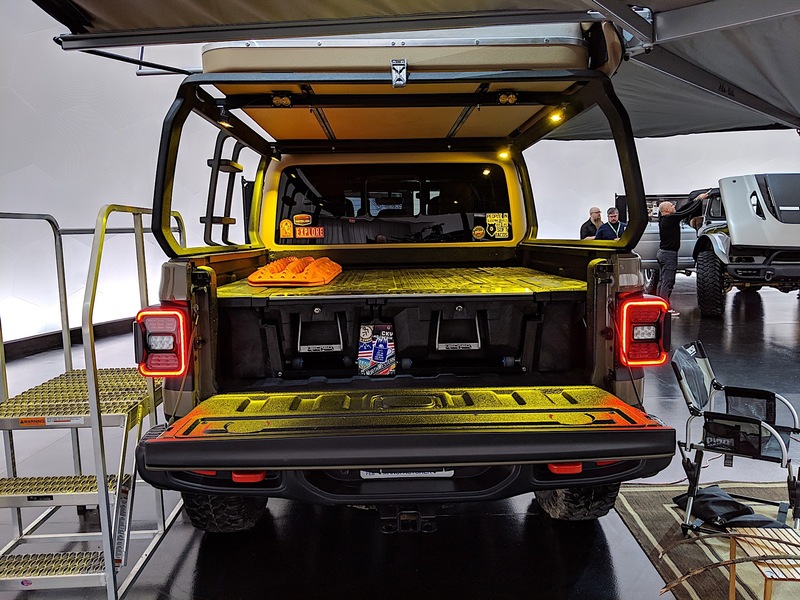 It's completely fitted with parts that can be bought at launch, which is over 200 accessories at this point. 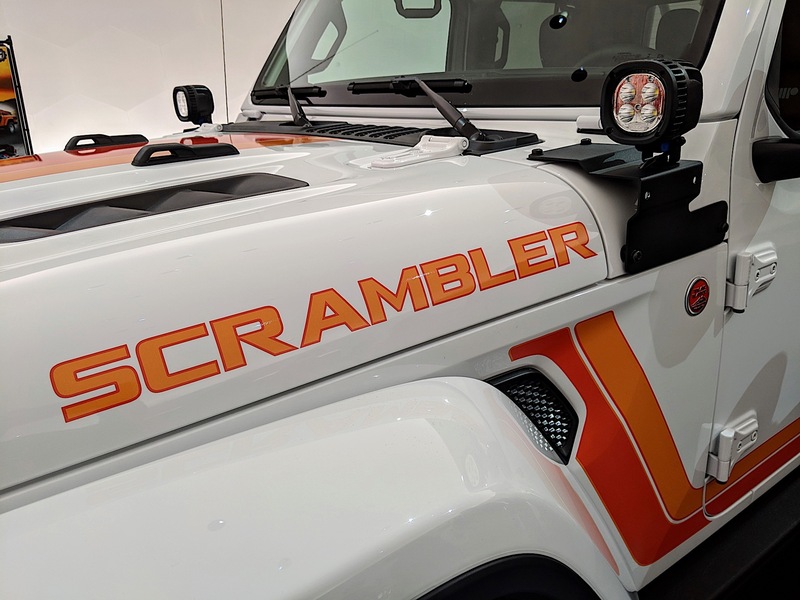 The Jeep JT Scrambler is a delightful throwback to the 1980s featuring the color pallette from the CJ Scrambler along with some modern and concept parts. 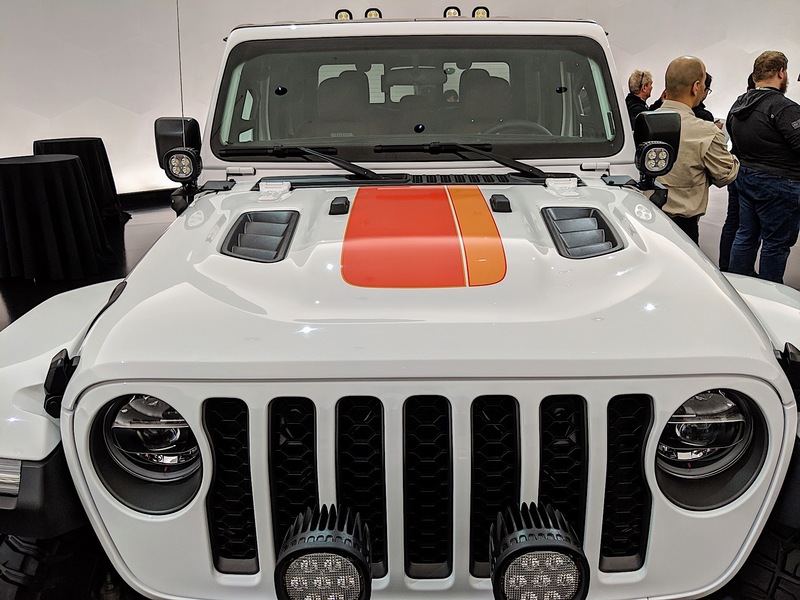 The hardtop is brown, along with the leather seats, and there are orange accents throughout. 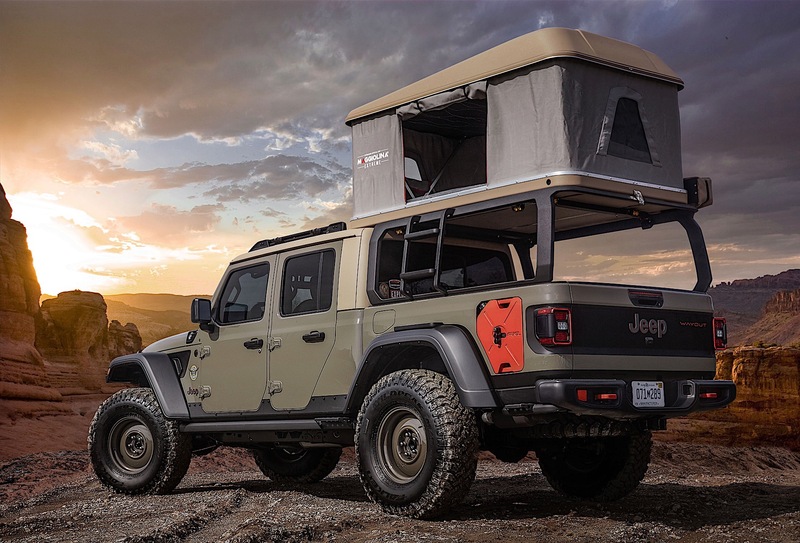 The Wayout is an overlanding Gladiator, complete with a popup tent. 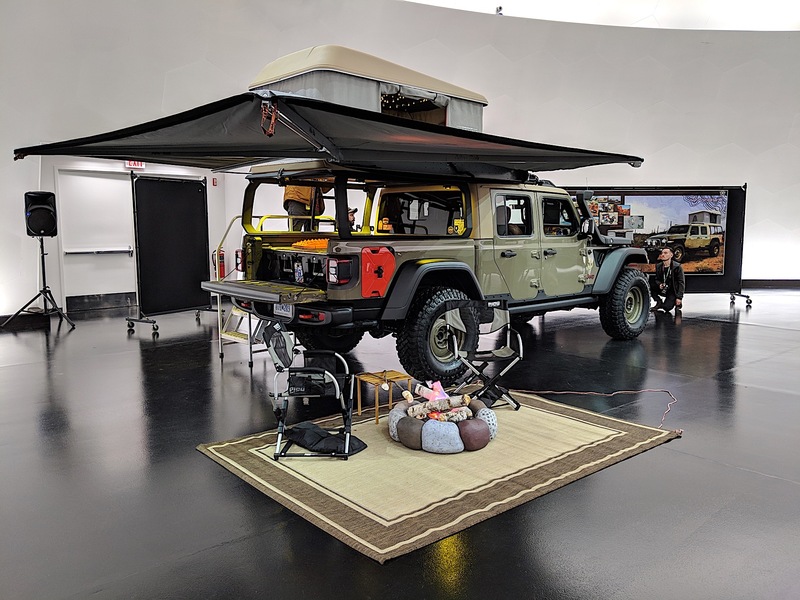 It's painted production Gator Green and has a custom bed rack to support the tent. 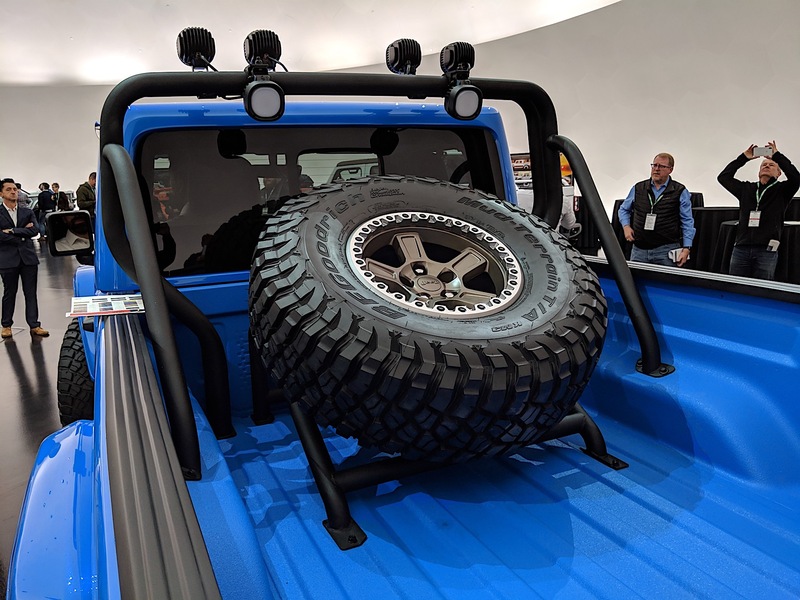 While the bed rack is custom, we expect aftermarket companies to have them available as soon as they can get a Gladiator to work on themselves. 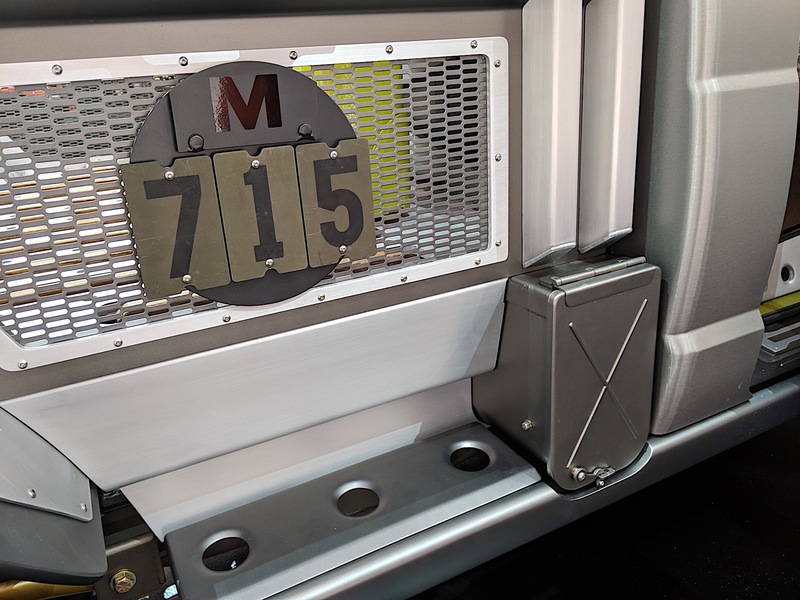 The coolest custom setup on this truck is the fuel cans that are stored in the sides of the bed. 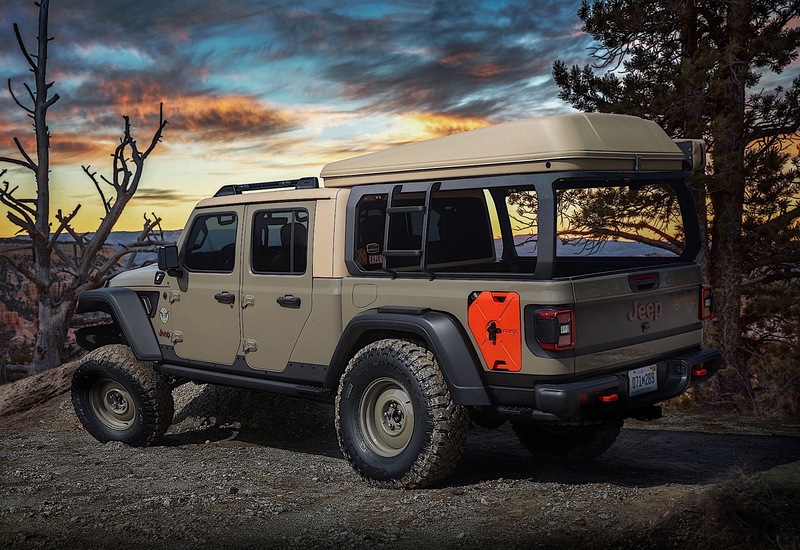 Finally, the J6 concept is a two-door, long-bed Jeep Gladiator. 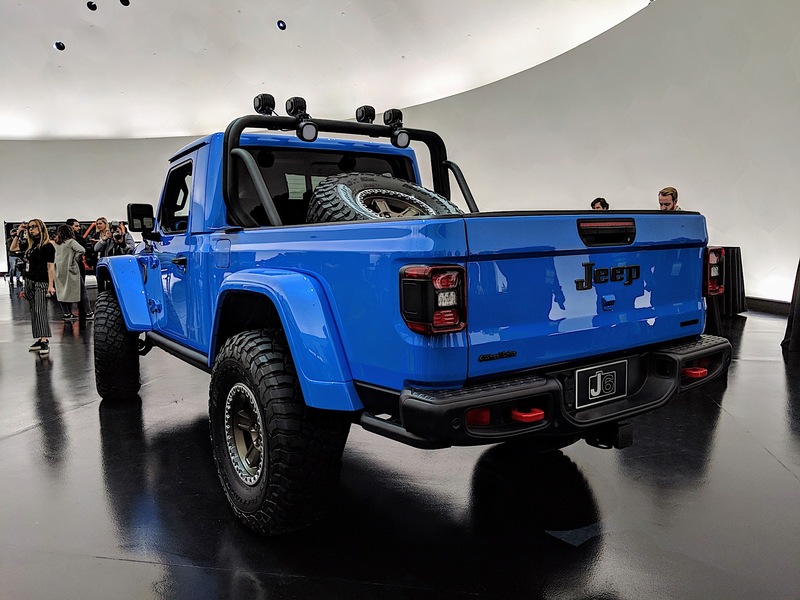 It's painted in Metallic Brilliant Blue paint (also carried over to the spray-in bedliner) as an homage to the 1978 Jeep Honcho. 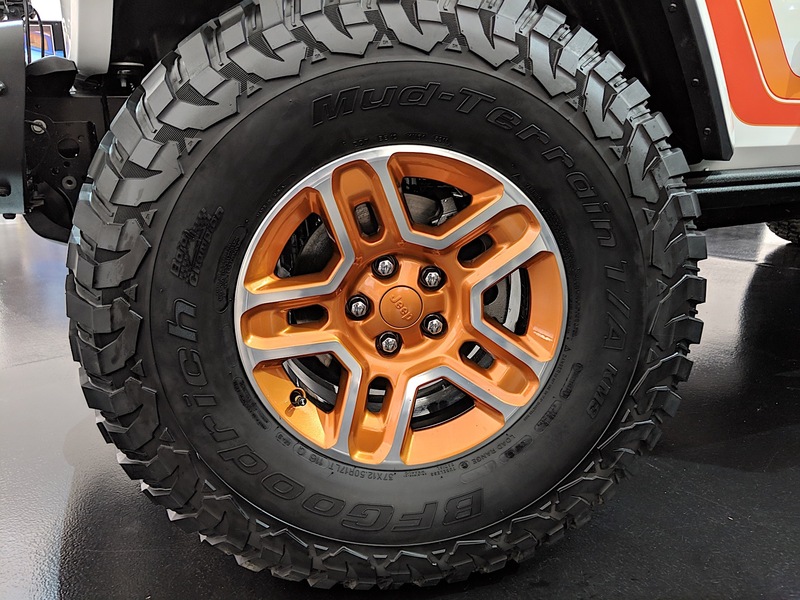 The wheels are equipped with 37-inch tires, and there's a concept spare tire holder in the bed. 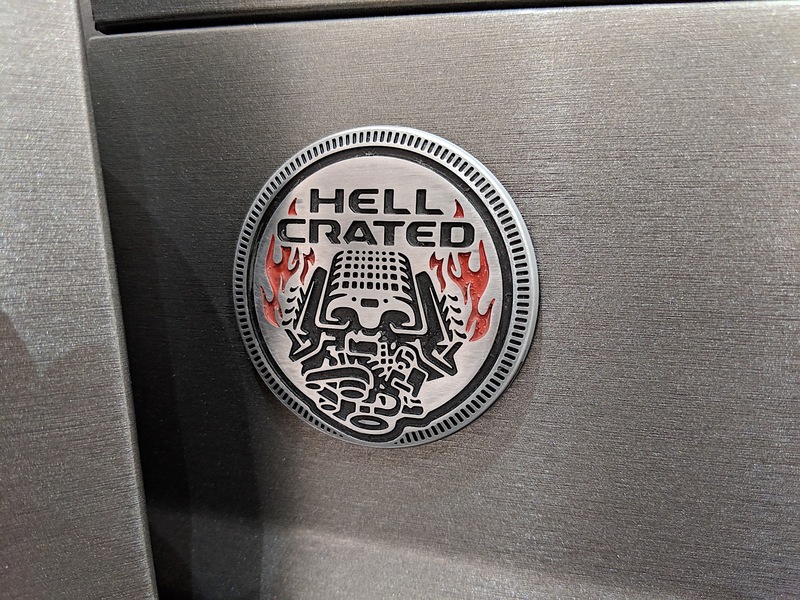 It's a throwback that we're sure many Jeep fans would get behind today. 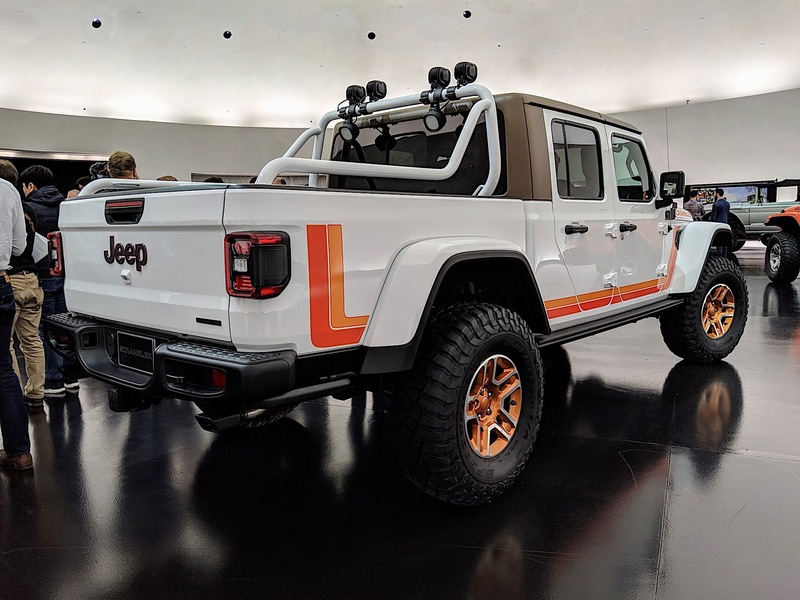 If you're at Easter Jeep Safari this year, you can check out these concepts as they are being shipped from Auburn Hills to Moab as we speak. 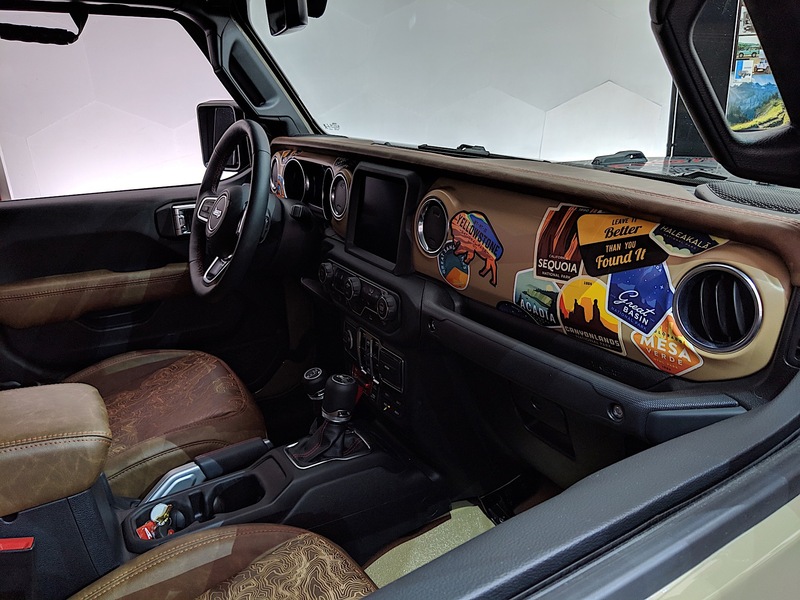 Our favorite might be the Wagoneer replica, complete with fake wood paneling and a roof rack. 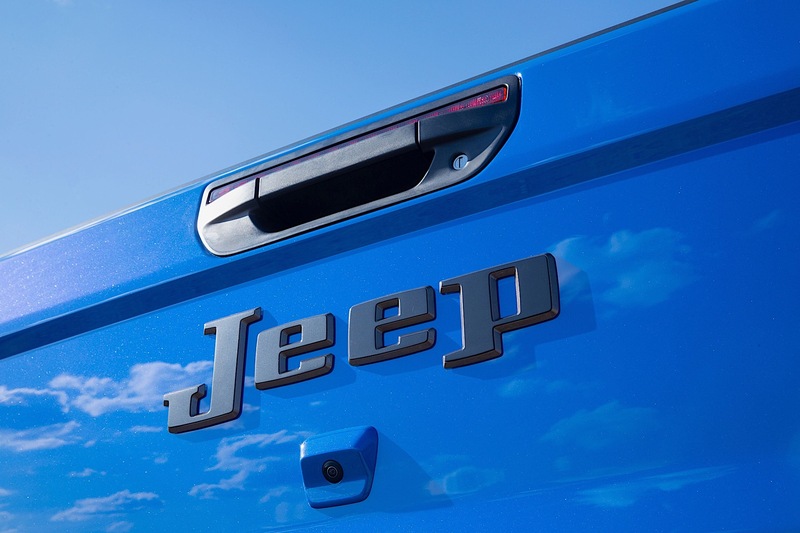 Jeep has reportedly built two massive warehouses where it'll keep all the cash its new money-printing machine will rake in.